Casula Powerhouse Arts Centre is excited to continue the development of new work by Tongan-Australian playwright Winnie Siulolovao Dunn. From Malapo to Miller is told in the form of Talanoa, storytelling traditional to some Oceanic cultures. This style of inclusive, participatory and transparent dialogue can only be told by a person of Oceanic Heritage. From Malapo to Miller will be directed by Emele Ugavule and will feature Taofia Pelesasa as Sione and Didi de Graaf as Si’I. We’re interested in your feedback and thoughts with a view to exploring possibilities for developing the work further through partnerships. Please RSVP by email rsvp@casulapowerhouse.com. Please direct questions to silkl@casulapowerhouse.com. Multiple times available. 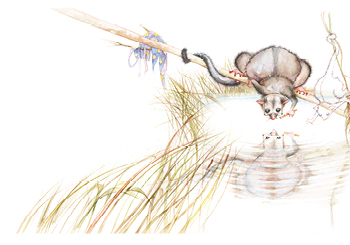 For over 30 years Mem Fox’s Possum Magic has captivated and enchanted young people. Joined by an extraordinary creative team, Monkey Baa is thrilled to be presenting a brand-new stage adaptation of this magical Australian classic.